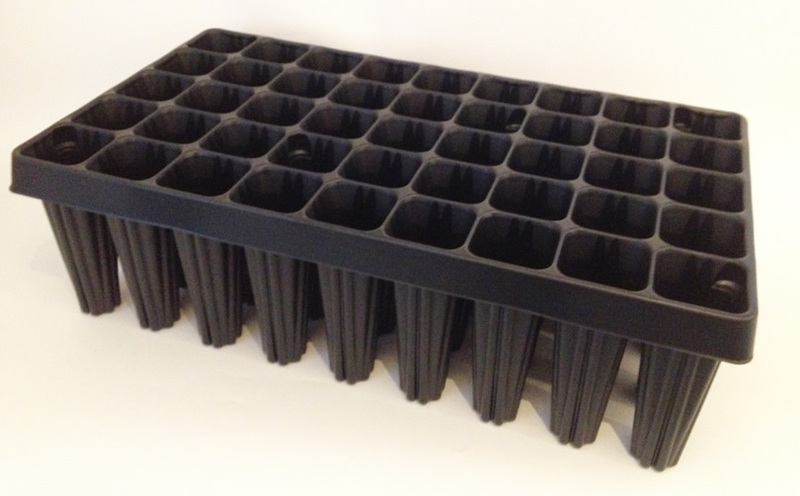 An extra large 45-cell plug plant root trainer seed tray - especially good for larger seeds and starting off trees, shrubs and bigger vegetables. 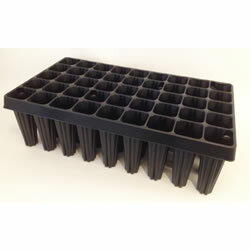 A good, sturdy stand-alone tray which can be re-used for several seasons. Measurements: 52cm long x 29cm wide. Cells are 15cm deep and 6cm across. With drainage holes.